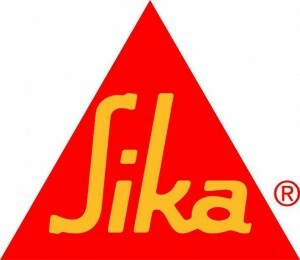 Sika Sealants and Adhesives Alpha Industries Ltd.Alpha Industries Ltd. The Universal Construction Sealants for Perimeter and Connection Joints. Sikaflex AT-Connection meets the requirements for all kinds of connection joints, window and door perimeter joints, joints, facade and metal cladding joints and many other construction and expansion joints. Ideal sealant for vinyl windows. Click here for the Sikafelx At-Connection Technical Data Sheet. Sikaflex-221 is a high-quality, multi-purpose, non-sag 1-component, polyurethane sealant that cures on exposure to atmospheric humidity and forms a durable elastomer. Sikaflex 221 bonds well to a wide variety of substrates and is suitable for making permanent elastic seals of high adhesive strength. Suitable substrate materials are: timber, metals, metal primers, paint coatings (2-C systems), ceramic materials and plastics. Seek manufacturer’s advice before using on transparent and pigmented materials that are prone to stress-cracking. Click here for the Sikaflex 221 Technical Data Sheet. Click here for the Sikaflex 252 Technical Data Sheet. SikaFast-3131S is a flexible, two-component acrylic adhesive designed to efficiently transfer high loads and evenly distribute stresses. These characteristics distinguish SikaFast-3131S from other acrylic adhesives that claim high strength and elongation. SikaFast-3131S bonds many materials without surface preparation or priming and cures rapidly at room temperature. This two-part structural adhesive, designed to substitute or complement welding, riveting, clinching and other mechanical fastening techniques used in the manufacturing of transportation vehicles. Click here for the SikaFast-3131S Technical Data Sheet. Click here for the Sikaflex 505 UV Technical Data Sheet. SikaLastomer-511 is a high solids, non-hardening, non-drying, non-oxidizing, butyl rubber-based sealant designed for factory sealing the female lip of standing-seam roof and wall panels and concealed endlaps. It has excellent adhesion to oily Galvalume, Galvalume Plus, KYNAR 500, aluminized metal, ZINCALUME, siliconized polyester and polyvinyl fluoride painted metals, and will not corrode Galvalume, Galvalume Plus, or copper. It offers excellent application properties, and is formulated without asbestos fillers. Click here for the Sikalastomer 511 Technical Data Sheet. Sikaflex-552 is a high-performance, elastic, gap-filling, 1-component structural assembly adhesive that cures on exposure to atmospheric humidity and forms a durable elastomer. Sikaflex-552 does not contain isocyanate. It is suitable for structural joints that will be subjected to dynamic stresses. Suitable substrate materials are metals, particularly aluminium (including anodized components), sheet steel (including phosphated, chromated and zinc-plated components), ceramic materials and plastics. Click here for the Sikaflex 552 Technical Data Sheet.